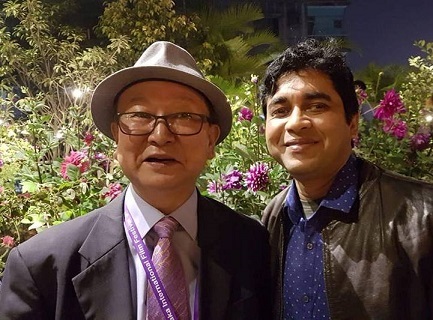 Film criticism, that flourished with the development of local film industry, widely known as Dhallywood, in the middle of the 20th century, does not follow any western set standard in case of reviewing films. Since there is no formal training facilities for reviewers in the academic institutes which offer courses on film studies, cine journalists and film society activists mostly develop their skills reading reviews and articles published in the foreign media outlets. And the interpretations, structures, and length of the reviews vary a lot depending on the background of the reviewers, nature of the publications and target audience. Film society movement activists while writing the reviews in cine-journals targeting the dedicated readers, who are mostly film buffs, try to interpret films from different angles and use the west set jargons, sometimes, without even giving their explanations. Film criticism , occasionally published as ‘special items for intellectual readers’ in the mainstream media outlets, and mostly written by amateur writers or film buffs, are basically critical appreciations having some appreciative remarks or sweeping comments on the films made by independent filmmakers, whose main target is to participate at the film festivals. But, such ‘film criticisms’ hardly analyze skill of actors, directors, assess the mise-en-shot and mise en scene (camera angles, editing, lighting, set production, costumes and others), identify other notable successes/failures of the film like soundtrack and special effects, do not compare and contrast to other films from the same genre/director/period. But, such reviews hardly have impact on the Box Office. A new trend set by the social media users of sharing comments on films is becoming very popular and is influencing significantly other viewers.